If, like me, you’re constantly altering particular elements of your iOS device in order to keep things fresh, then I’m sure you’ll be familiar with the rigmarole of applying a custom parallax wallpaper. Sometimes, it can be difficult to manipulate an image to fit or sit in the manner we’d like it to, and often, we’ve to make do with an out-of-position or otherwise distorted and unsightly backdrop. 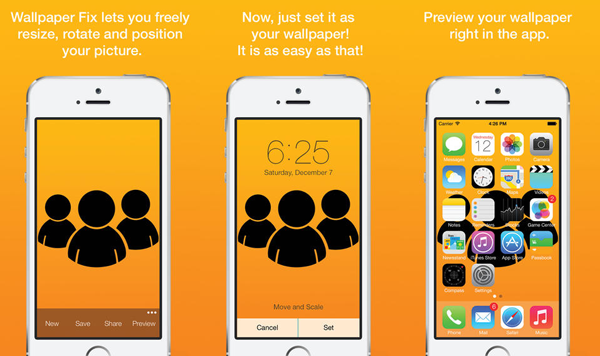 For better or for worse, though, we live in a culture whereby an app can solve almost any issue or ailment, and if you find the process of changing your iOS wallpaper to be a little more tedious than it perhaps should, then, well.. there’s an app for that! It’s strange, given how many advanced photo-editing apps are currently available over at the App Store, that Apple hasn’t taken into consideration the fact that mobile users simply will no longer put up with half-baked features pertaining to their images. Smartphone photography is now very serious business, but while the solid cameras and Retina displays make it easy for iOS users to create their own, personalized parallax background, it’s rather ironic that often, applying a snap or image as a wallpaper is the most trying aspect of the process. Thankfully, a new app from developer Bernhard Obereder by the name of Wallpaper Fix will help you position and scale your images exactly the way you intended, putting an end to the pixelated, uneven finishes that often cannot be helped. Upon running the app for the first time, you can zoom and scan to a specific part of an image or photo, and once you have aligned everything to your specific tastes, you simply hit the ‘set’ button and you’re good to go. It’s available over at the App Store, and only costs 99 cents. 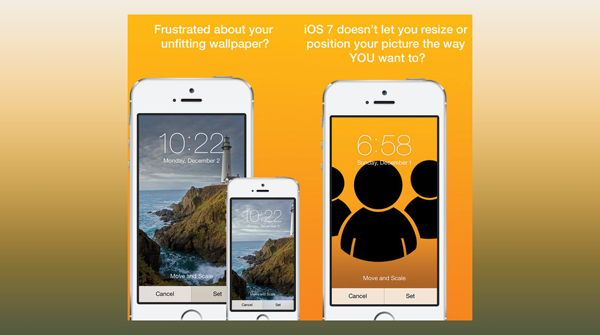 Sure, it would be nice if Apple improved the tool set for creating parallax wallpapers, but until the company comes through with such a feature in a subsequent iOS update, Wallpaper Fix is very much your best bet.